“The market hates uncertainty” has been a common enough saying in recent years (even by me), but how logical is it? There are many different aspects to uncertainty, some that can be measured and some that cannot. Uncertainty is an unchangeable condition of existence. As individuals, we can feel more or less uncertain, but that is a distinctly human phenomenon. Rather than ebbing and flowing with investor sentiment, uncertainty is an inherent and ever-present part of investing in markets. Any investment that has an expected return above the prevailing “risk-free rate” (think T-Bills for U.S. investors) involves trading certainty for a potentially increased return. Consider this concept through the lens of stock vs. bond investments. Stocks have higher expected returns than bonds largely because there is more uncertainty about the future state of the world for equity investors than bond investors. Bonds, for the most part, have fixed coupon payments and a maturity date at which principal is expected to be repaid. Stocks have neither. Bonds also sit higher in a company’s capital structure. In the event a firm goes bust, bondholders get paid before stockholders. So, do investors avoid stocks in favor of bonds as a way of combating uncertainty? In fact, it’s quite the contrary. Many investors end up allocating capital to stocks because of their higher expected return. In the end, many investors are willing to make the tradeoff of bearing some increased uncertainty for potentially higher returns. Thinking about the statement “the market hates uncertainty” allows us to gain insight into the mindset of individuals. The statement attempts to personify the market by ascribing the very real nervousness and fear felt by some investors when volatility increases. It is recognition of the fact that when markets go up and down, many investors struggle to separate their emotions from their investments. It ultimately tells us that for many an investor, changes in market prices can be a source of anxiety. During these periods, it may not feel like a good time to invest. Only with the benefit of hindsight do we feel as if we know whether any time period was a good one to be invested in. Unfortunately, the future will forever remain uncertain. Let’s look at it this way. We can compare the fundamentals of investing and grocery shopping. Let’s assume each week you venture out to the store and every week you purchase a bottle of laundry detergent; $20 every time for your preferred bottle. One week, you notice that it’s on sale for $10. What are you going to do? Most of us would take advantage of this opportunity and buy more than one. But, what if detergent cost is $30 that week? We’d probably start looking for alternatives. The same thought process should be applied when investing. If the market is down 50%, emotionally we feel like it’s a horrible time to invest, and we steer clear. But, the value is there, and it’s worth considering buying in at a lower rate. If the market is punching out new all-time highs, emotionally it feels easy to be an investor, but your return on investment is less. Investors need to apply the same logic to investing as they would to grocery shopping. Or, consider your favorite amusement park ride. You get hurt on a roller coaster only when you jump off in the middle of the ride. So why would you jump off? 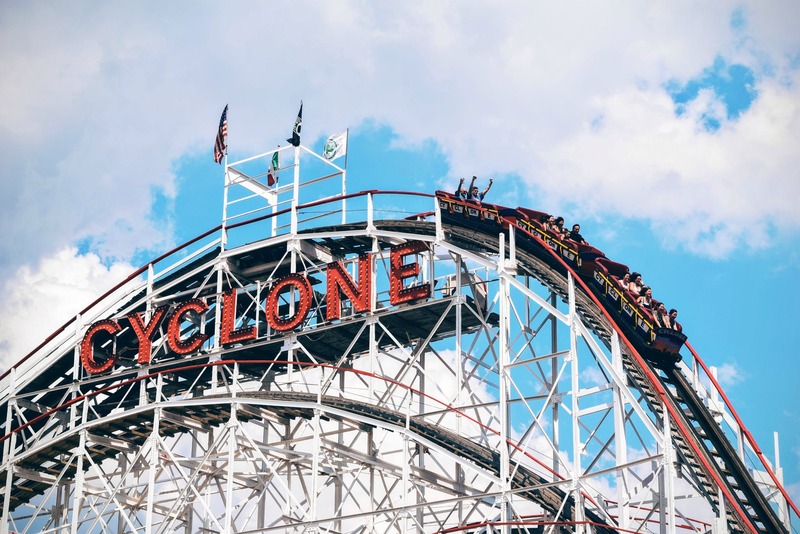 You’re driven by an irrational fear that says by staying on the roller coaster ride you are destined to get hurt (and if you jump off, somehow you will avoid your demise). Sounds crazy, right? Well, the same can be said with investing when markets take a nose dive. Our emotions can get the best of us if we actually believe that if we jump off the ride, we will somehow avoid a certain demise. Part of being able to stay strong during periods of uncertainty involves having appropriate asset allocation that is in line with an investor’s willingness and ability to bear risk. It also helps to remember that you wouldn’t expect to earn a higher return without taking on some form of risk. While a decline in markets may not feel good, it pays to understand that uncertainty is just part of investing. Having a portfolio you are comfortable with and sticking to a plan that is agreed upon in advance (and reviewed on a regular basis) can help keep investors from reacting emotionally. This ultimately leads to a better investment experience.